I love my garden this time of year! The herbs are growing wild. 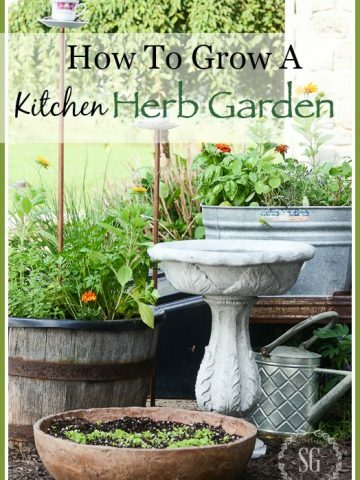 I’m adding something fun to my kitchen herb garden and raised bed garden too! 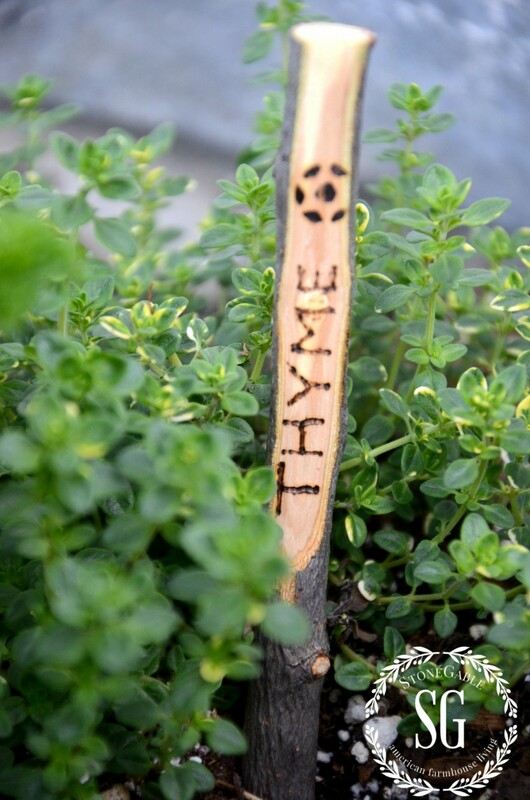 TWIG GARDEN MARKERS! They are super easy to make and look right at home and natural among my plantings!!! We cut back our cherry and apple trees in the late winter and Bobby saved some of twigs for these markers. 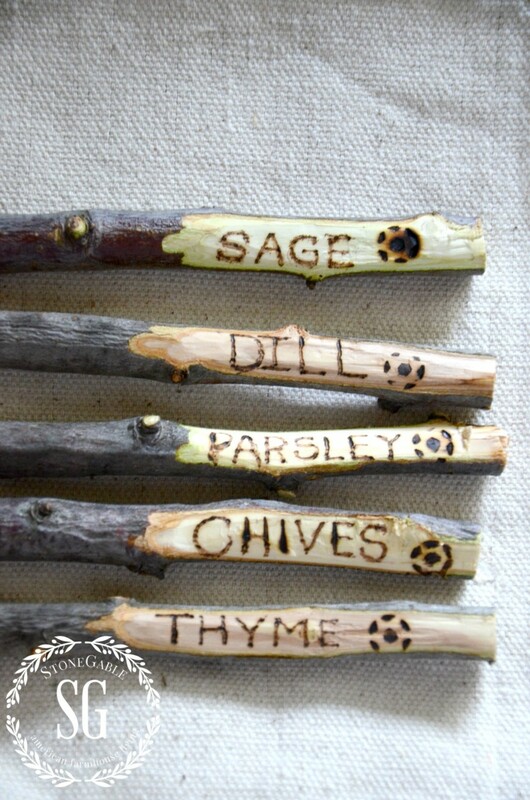 I used a wood burning tool to write on the twigs! It was so easy to burn the letters into the wood. Just like writing on a piece of paper. And the names of the herbs and plants will stay visible and not fade. You can get one like mine on Amazon for under $20.00. Click HERE to see what I got. It has lots of great tools and I’m excited to see what else I can do with it! 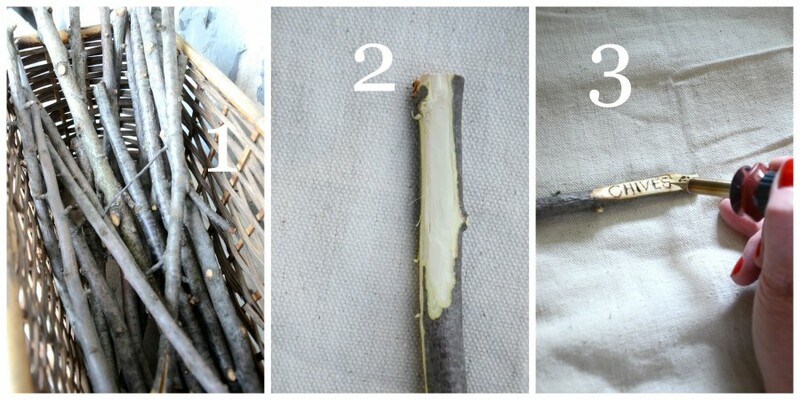 If you don’t want to burn the letters into the twig you can write them with a Sharpie marker. I made all five of my markers from start to finish in less than 30 minutes. And I love how organic and natural they look in the garden!!! If you like to garden, this is one easy DIY to try! 1. Collect twigs. We cut back our apple and cherry tree and used the twigs from them to make the markers. 2. Whittle the end of the twig. Try to make it as flat as you can. I tried to use a peeler and it did not work as well as a sharp knife. Just remember to whittle the twig AWAY from yourself. 3. 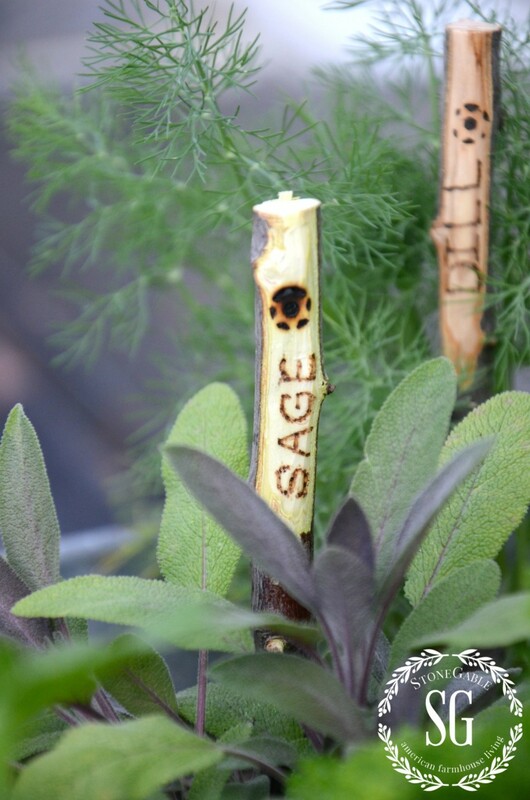 Using the pointy tip of a wood burning tool, write the names of herbs and plants on the whittled area of the twig. The more you go over the words, the darker it will get. After the tip cools I change the pointy tip to a star tip and burned a fun design into the end of each garden marker. Can you guess which markers are made from cherry twigs and which are apple? 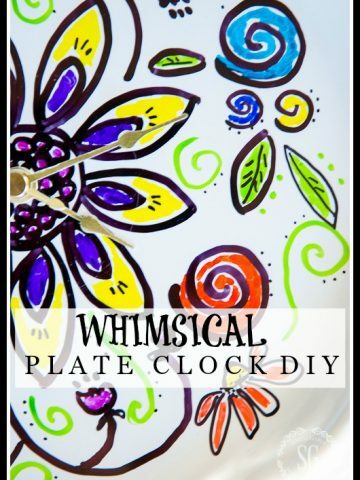 This DIY could get a little addictive! It was really fun!!!! Now I’m making these markers for my girl’s gardens!!! 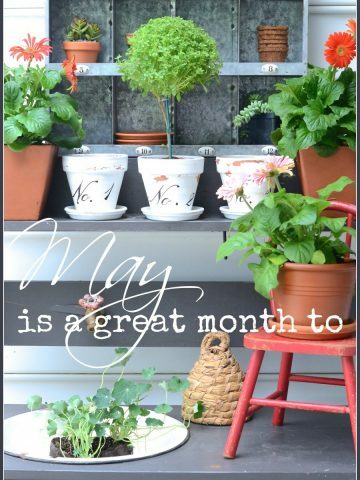 What are you planting in your garden this year? How about making a twig marker for it!!! If you like this diy you may want to save it to your GARDEN or DIY Pinterest boards. You can follow me and see what I’m finding to pin HERE. Wonderful idea! I use sharpies on pieces of old window blinds, but they fade very quickly and I’m left with many “mystery plants”. This is a fantastic solution and I will definitely be doing this! I have huge piles of branches from the downed limbs from my maples during the winter storms….and endless supply of plant labels in all sizes!! Love your website some great ideas for gardening,cooking,decorating. What a fabulous idea!!! I am so doing this! Love them Yvonne…such a great idea!…. I love this idea! My mother has a green thumb like no other, and I know she would love this too! These markers are awesome! Thanks for sharing Yvonne! LOVE this idea and will start collect twigs! Thanks so much Yvonne! How absolutely adorable!! We are always curing all the limbs and twigs that fall in our yard — now I can do something with them. You are a genius and Amazon and I have a great relationship. If they don’t hear from me weekly they start sending out inquiries! Great tip! !